Eye diseases and disorders can cause a wide range of problems, from mild irritation to total blindness. Fortunately, even irreversible chronic eye conditions can often be brought under control -- and Urban Eyecare & Eyewear is your first line of defense. Our optometrist in West Des Moines, Dr. Lisa Lansink, can protect your eyes against many common (and potentially sight-stealing) conditions. Glaucoma is typically caused by high intraocular fluid pressure, or ocular hypertension. The normally regulates this pressure by allowing excess fluid to drain away; when this fails to happen properly, the extra pressure damages the optic nerves, causing progressive vision loss. We can prescribe medications to normalize your eye's intraocular pressure. This age-related destruction of the macula can interfere with your central visual field, creating distortions or even blank areas. Our family eye care center can monitor this condition carefully, recommending lifestyle and dietary changes to slow the disease's progress and prescribing medications to minimize the late stage of the disease. If you require surgery, we will refer you to the appropriate specialist. Diabetic eye disease occurs when excess blood sugar damages the network of blood vessels that nourish the retina, often prompting the development of weak, abnormal replacement vessels that leak blood into the interior of the eye. We will urge you to pursue treatment for your diabetes first and foremost. Our West Des Moines optometrist may also administer injectable drugs or refer you for laser treatment to control intraocular bleeding. Cataracts occur naturally with aging, although medical conditions, UV exposure and certain drugs can accelerate their growth. Proteins within the lens form clumps that transform the lens from clear to opaque, causing blurred vision, low night vision, color/light distortions and glare sensitivity. We can help clarify your vision with corrective lenses. If your cataracts require removal by a surgeon, we will co-manage your procedure and provide post-operative care. Dry eye syndrome cam cause constant eye redness, irritation and vision problems while also putting your corneas at risk for damage. Our West Des Moines optometrist can determine the cause of your dry eyes and provide effective remedies. Computer vision syndrome is a combination of digital eye strain and dry eyes caused by excessive, unblinking exposure to screen glare. 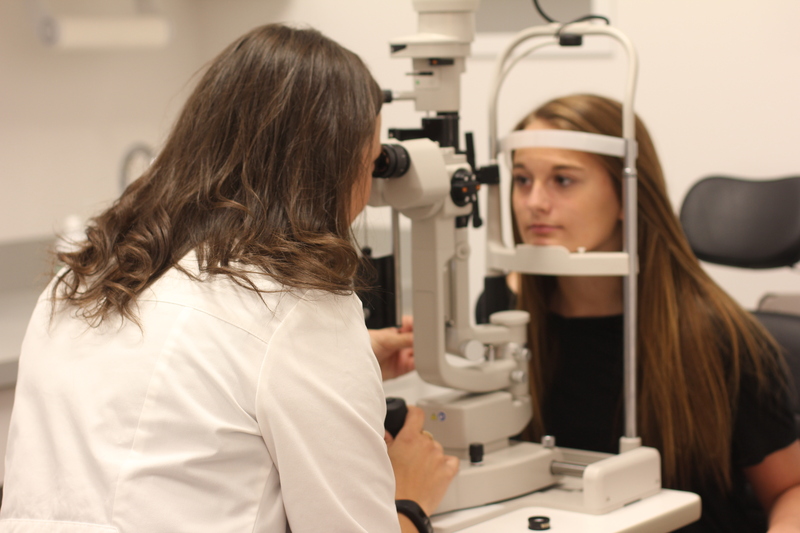 Our West Des Moines optometrist can recommend glare filters, changes in work habits, dry eye treatment and other methods for defeating this condition.